Reiki (ray-key) is a Japanese technique for stress reduction and relaxation that promotes healing the body, mind and spirit. In use for almost 100 years, it is a powerful and gentle form of energy healing that is used to heal the self and others. The focus of Level 1 is to open your energy channels on a physical level, allowing you to connect to universal life force energy for stress reduction and healing. The training consists of discussion, the Reiki Level I attunement, hands-on practice, and includes the course handbook "Reiki the Healing Touch" by William Lee Rand and a certificate of completion. 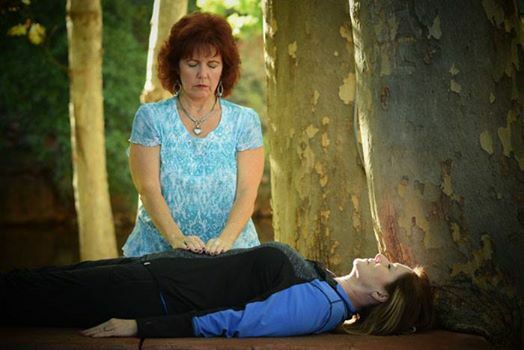 * Know how to confidently administer Reiki treatments to yourself, family, friends and pets. This one day course is the follow up training to Reiki Level 1. The focus of Reiki Level 2 training is to provide an expanded opening of the energy channels, get you more comfortable working with higher levels of energy, and continue expanding your confidence in providing Reiki treatments to others, both personally and professionally. The training consists of discussion, receipt of the Reiki II symbols, Level II attunement, hands-on practice, and includes the course handbook “Reiki the Healing Touch” by William Lee Rand and a certificate of completion. * Discover the many uses of Reiki in your every day life. Don't let your new skill go to waste! Many become certified but then flounder feeling alone or unsure of how to proceed with using Reiki in their personal or professional lives. My training program includes two thirty-minute coaching calls, plus unlimited email access, for two months following the completion of your certification. As a professional Reiki practitioner who uses and works with Reiki everyday, I can help you move through the doubt and fear. I'll be available to answer any questions that come up, to cheer on your successes and most importantly to inspire you to keep working with Reiki! Fee: Two-day Reiki Level 1 & 2 certification training, Reiki manual, handouts, plus two Reiki Coaching sessions with unlimited text/email support for two months is $555.00. Reservation Deadline: April 11, 2019 to allow time for ordering/arrival of printed manuals. Seating is limited to 10 people. 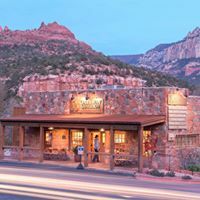 RESERVATIONS & QUESTIONS: Call 928.325.2180. Natalie Eve Marquis, RMT, CH is a heart-centered healer, teacher, and the founder of the Reiki Release® Emotional Healing Method, a powerful process that pinpoints and releases the root cause of emotional wounds and negative beliefs. She is a certified Reiki Master Teacher, certified consulting hypnotist, Advanced Integrated Energy (IET) practitioner, and a highly empathic and clairvoyant intuitive reader. She is an intuition development and creativity coach, and teaches all levels of Reiki certification both online and in person.